How do you separate your own likes and dislikes from objective standards of quality in wine? If you’re like most people, you can’t, and you don’t. How do we judge quality in wine? It’s a question that dogs wine writers, winemakers, sommeliers, importers and distributors alike. Typically, any group of professionals at the same blind tasting will be divided over what is best and what isn’t. For example, an earthy Rhône Syrah may be the darling of a British writer, while a California winemaker may find the same wine “tainted” by a spoilage yeast known as brettanomyces. Who’s qualified to determine what’s really good? And is there a blueprint for qualitative analysis? To a degree, yes, for there are basic quality parameters that can be measured, such as acidity or volatility. But most individuals’ qualitative opinions are colored by personal perceptions of what is “right.” I even know some wine professionals who actually gauge wine quality by sales. When sales are up, quality must be good. From that perspective, a recent newspaper article was a resounding endorsement for quality. It reported that annual California wine exports had jumped from 12 million gallons to 96 million gallons since 1987. But I can’t help wondering whether the wines are getting that much better, or whether it is really the image of California wine that has improved. Maybe it’s a little of both, coupled with an increasingly aggressive sales and marketing tack from export- driven wineries such as Wente and Gallo. Ultimately, most of us have intensely personal and fickle palates. I teach classes in Napa Valley at the Rudd Center for Professional Wine Studies, which operates under the aegis of the Culinary Institute of America. Some of my students are already wine professionals, and others are considering entering the profession. During one seminar, I ask, “Who can tell an expensive wine from a cheap one?” We then blind taste different wines with the same varietal designations, beginning with two Chardonnays. One is clean and fruity, while the other is more earthy, toasty and complex. Invariably, half the class prefers the first bright fruity wine, while the other half prefers the richer, more complex and layered wine. Those who prefer the fruitier wine assume it is more expensive. It’s fun to watch their faces when they discover their favorite is none other than the infamous “Two-Buck Chuck.” The second wine is a $50 Chardonnay from Kistler. Actually, the two-dollar wine isn’t so bad. It may not have the stuffing of the Kistler, but it’s quite enjoyable as a simple sipper. What I’m trying to convey is the idea that first impressions may be valuable, but that complex wines may require more study and effort to appreciate than simple, easy quaffers. The goal is to be able to identify and differentiate various levels of quality. But that’s not always obvious, even for seasoned professionals. The challenge lies in overcoming preconceived notions. If we believe we are looking for some particular trait in a wine, we usually find it. 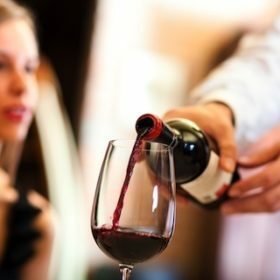 A classic example is the wine buyer who first looks at the alcohol on a bottle label, sees a level that appears to be high, and then pronounces the wine “hot,” or alcoholic, upon tasting it. 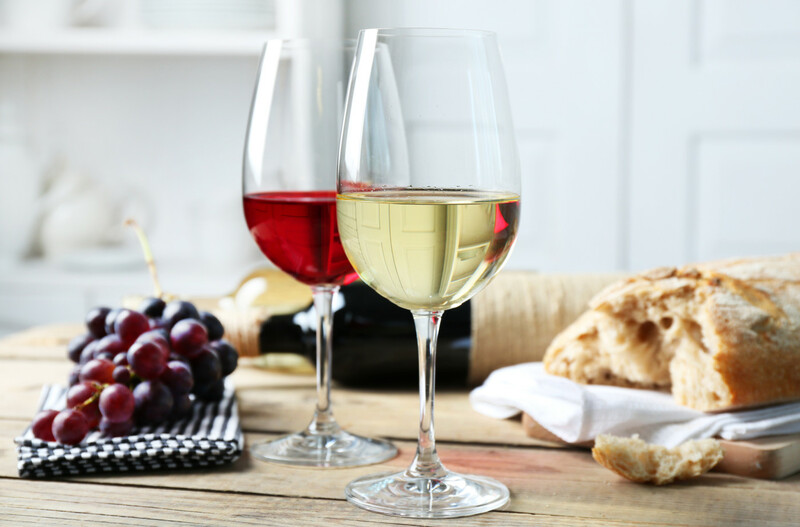 The truth is that higher levels of alcohol—above 14 percent, for example—may be perfectly integrated and unremarkable in one wine, while a lower level may taste hot in a wine that is unbalanced in some other way. Even more psychologically twisted is the silly wine writer, Lawrence Osborne, who has done a disservice to the culture of wine in his new book, The Accidental Connoisseur. His glib, British wit is seductively entertaining. Unfortunately, it serves to camouflage his wine ignorance. Consider the following statement: “The nose of all California Pinot Noirs I have drunk so far always reminds me of a honey-flavored candy we used to eat in England in the seventies called Toffee Crunch. It’s an indescribable scent, a kind of chemically musty honey.” Either Osborne needs to taste more wine, or he simply possesses a hopelessly retarded palate. His perception of quality is skewed, and the poor, misguided taster will surely continue to experience Toffee Crunch in California Pinot Noir until he relieves himself of his childhood memory. Perhaps the cure for Osborne’s problem lies in a good psychoanalyst as opposed to more frequent wine tastings. Consumers should be wary of witty wine drivel like Osborne’s. Additionally, we all need to be careful of drinking only what we think we like. There is far more to fine wine than first impressions can assess. Different tasters will always have differing opinions, and that can inspire healthy debate. As a consumer, pay attention to the writers’ names that top various articles and reviews. Then, when you choose to follow certain critics’ advice, follow the bylines of those writers whose palates consistently lead you to new and exciting wine discoveries. Allow your perception of quality to be open and ever-expanding. “Dissing” any category (such as California Pinot Noir) will only deprive you of future fine wine experiences.